Seventy-six years ago Thursday, millions of Americans tuned in to their regular nighttime broadcast and got some rather shocking news. A panicked newscaster informed the masses that Martians had landed in the small town of Grovers Mill, N.J., and 7,000 US soldiers had been deployed to fight off the invaders. The broadcast was really actor Orson Welles performing a modern American interpretation of H.G. Wells’ novel “War of the Worlds,” but most listeners had tuned in too late to hear the play’s introductory announcement. Though the accuracy of its reports has been brought into question, the next day The New York Daily News reported that Newark’s St. Michael’s Hospital had treated 15 people for shock, while churches throughout the tri-state area filled with people seeking comfort and protection. Last year, PBS premiered “War of the Worlds,” a documentary presented by “American Experience” that explains the hoax in the context of the late 1930s, an era marked by the crash of the stock market, economic depression, and threats of an upcoming war. As there was little information about the possibility of extraterrestrial life at the time, listeners had no reason not to believe the fake report, which featured testimony from fake sources that claimed to be professors at Princeton University or the governor of New Jersey. Still, O’Connell noted that the broadcasters had nothing but the best intentions. 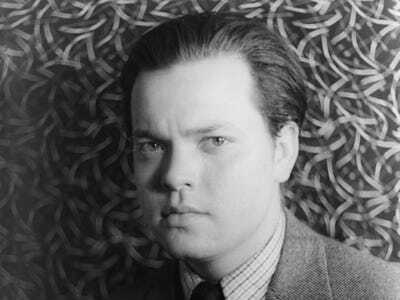 The broadcast turned out to be a turning point for 23-year-old Welles’ acting career, landing him on the front page of newspapers across the country.